150 years after the first Danish maritime research expedition to the Far East, the so called Galathea 1 expedition (1845-47), Danish researchers in many fields are now again participating in a similar round-the-world expedition, Galathea 3, that rougly follows the same sea route as its predecessor in the 1840s and the much publicised Galathea 2 expedition, carried out during the years 1950-52. On Friday 11 August 2006, the 3rd Galathea Expediton was en route (after more than six years of intensive planning), when the expedition ship VÆDDEREN, an offshore patrol frigate temporary refitted as an expeditionary vessel, departed Copenhagen harbour. The course initially took the ship to the North Atlantic, with stops in the Faeroe Islands and Greenland. Then the route turned south along the west coast of Afrika with a stop-over in Ghana, to Cape Town (photo below from the arrival to Cape Town on 15 October 2006). From South Africa the ship now travels eastwards across the Indian Ocean to Australia, Solomon Islands and New Zeeland, before crossing also the Pacific Ocean with the destination Chile. See map of the route for Galathea 3. The expedition then continues northwards along the west coast of South America to the Galapagos Islands, through the Panama Canal to the Caribbean and the US, and concludes its circumnavigation of the globe with a voyage across the Atlantic, whereupon it will arrive back in Copenhagen ultimo April 2007. The idea of sending out a third Galathea expedition was put forward from several quarters in Denmark, not least when the new millennium, and thus the 50th anniversary of the departure of the second Galathea expedition, was approaching. However, it was the newspaper Morgenavisen Jyllands-Posten that picked up the baton and developed the idea into the concept that has since developed into a broad national event and a poster project for Danish research. The aim of Galathea 3 is to strengthen Danish research, not only by virtue of the implementation of specific research projects onboard, but also in relation to the international research network of which Denmark is a part. At the same time, Galathea 3 is intended to provide a boost for the recruitment of new scientists in the future. The ship is fully equipped with modern communication systems enabling it to transmit news of natural sciense direct to clasrooms back in Denmark, as well as a number of students will be on board to make their own studies. Galathea 3 Expedition web page. The Galathea 3 expedition has been planned and implemented by the so-called Danish Expedition Foundation, a commercially operating foundation established by the Ministry of Science, Technology and Innovation. The Danish Expedition Foundation has at the same time been entrusted with the task of raising funds to secure the financing of the project, partly through government grants and partly through donations from private foundations and enterprises. The Danish Expedition Foundation bears the same name as the foundation behind Galathea 2 (1950-52) and a number of other expeditions. On behalf of the Danish Expedition Foundation’s board of trustees, the Danish Research Agency (since 1 May 2006 part of the Danish Agency for Science, Technology and Innovation) in 2004 invited proposals and ideas for destinations and projects to be included in the Galathea 3 expedition. The invitation was implemented as a public preliminary survey, for which scientists and research institutions were invited to submit proposals for destinations and possible projects to be included in the expedition. On 29 November 2005, the Danish Expedition Foundation issued an announcement of the total of 71 projects that had been selected to participate in the expedition, several of them connected to the Indian Ocean, the Nicobar Islands and Tranquebar in India. When Galathea 1 (1845-47) departed from Copenhagen on 14 May 1845, the Royal Danish Academy of Sciences and Letters had received a letter from King Christian VIII, who was known for, among other things, his great interest in natural history. This was the beginning of the first Galatea expedition. The letter included, among others, the following passage: "We have decided to send the Corvette Galathea to the East Indian Islands and particularly the Nicobar Islands, over which We hold Sovereignty, in order to perform scientific Survey of the natural Products of this Group of Islands and their use for Cultivation and Trade." In his instructions, the king furthermore requested the academy to appoint "persons learned in the study of Nature and aides to assist them". The purpose of the expedition was, besides the exploration of the Nicobar Islands, to hand over the Danish colonies of Tranquebar in South India and Frederiksnagore (present-day Serampore) in Bengal to the British East India Company, the expansion of the trade with China, and negotiation and conclusion of new trading contracts. The second Galathea expedition (1950-52) visited several of the destinations that also Galathea 1 had visited more than 100 years earlier. One of these destinations was again the not particularly well-known former Danish colony, the Nicobar Island in the Bay of Bengal. The research scientists on Galathea 2 followed up on the findings from the first Galathea expedition in order to document the development over the intervening period. The 2006-07 Galathea 3 expedition will not make any stop-overs in India, not even in the Nicobar Islands – extremely hit by the tsunami disaster in 2004. 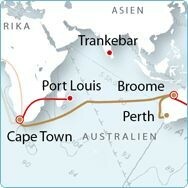 Researchers on board will however make several scientific studies related to the Indian Ocean. For example, Dr. Torkel Gissel Nielsen from the Dept. of Marine Ecology, National Environmental Research Institute in Roskilde, will do a study of ”Plankton dynamics in the Andaman Sea”, funded by the Danish Research Council for Nature and Universe. Still around 20 research projects connected to Tranquebar will be carried out within the framework of the Galathea 3 expedition, and also a couple of projects dealing with the Nicobar Islands and Serampore (Frederiksnagore). The Tranquebar Initiative of the National Museum of Denmark, with several projects in different fields is coordinated by the National Museum of Denmark. The museum has rich collections from the 1845 expedition, when the corvette Galathea visited the then Danish colony of Tranquebar (in present-day Tamil Nadu). On that occasion Captain Steen Bille at an official ceremony lowered the Danish flag Dannebrog from the flagpole of the Fort Dansborg, since the visit took place in connection with the transfer of the Danish colonial properties in India to England. During the visit, the expedition members travelled inland, registering daily life in the villages on the former Danish territory and collecting objects for The Ethnographical Museum in Copenhagen, which is now a part of the National Museum of Denmark. On the modern Galathea3, the Tranquebar projects have been given a land-based platform, from where they will transmit to the ship about various forms of activities. The goal of the Tranquebar Initiative is to strengthen the ongoing Indo-Danish efforts to preserve the intercultural heritage and to explore the colonial Indo-Danish cultural encounters. Also restoration of building structures from the Danish period (1620-1845) is taking place as well as investigations related to the social and cultural processes of transformation taking place in modern Tranquebar within almost all sectors. The Tranquebar Initiative of the National Museum of Denmark is an interdisciplinary endeavour and prepared in close collaboration with a number of Indian authorities and Indian and Danish research institutions. The Initiative ranges from various research projects to restorations of buildings from the colonial time and the collecting of ethnographical items to elucidate present daily life, as well as historical and ethnographical exhibit activities in Denmark and India. The plan is in the various projects to involve a number of PhD-projects and also master students and trainees from both Denmark and India. • Children in an Imperial Encounter. Pre-doc project by Karen Vallgårda, Tamil Studies at Colombia University and The New School for Social Research, New York. The topic is childhood in the cultural encounter between Indians and Danes in South India 1862-1919. In that period, the majority of Danes who traveled to India were Christian missionaries and they came into contact primarily with so-called “low-caste” Indians. It is often neglected, however, that children also took part in the encounter. Indian children attended missionary schools, were adopted by Danes or worked in their households. Danish children came to India with their parents or were born in India. Finally, a small number of mixed-descent children resulted from sexual relations between Danes and Indians. The aim of the project is to investigate how Danish and Tamil adults reflected and acted in relation to children and childhood, as well as how the different groups of children experienced the encounter. More information about the project. • Daily life on Fort Dansborg in colonial times: Archaeological investigations based on trial ditches in and around Fort Dansborg. Project by Niels Engberg and John Simonsen. Fort Dansborg presents a unique opportunity to seek to enlighten interesting aspects of daily life in and around the Dansborg Fort in the early days of the Indo-Danish cultural encounter in Tranquebar. Archaeological finds can throw light on the key questions on the cultural encounter. In other words, do finds from daily life reflect an Indo-Danish cultural encounter and if so, which characters do the finds have? How were Indian and European artefacts, commodities, food, and other items integrated in daily life? More information about the project. Danish Colonialism in India: The Encounter with Indian Society and Culture 1620-1845. Project by Associate Professor Esther Fihl, Centre for Comparative Cultural Studies, Department of Cross-Cultural and Regional Studies, University of Copenhagen. The Danish colony Tranquebar was established in 1620 on the southern Coromandel Coast in India as headquarter for the Danish expansion in Asia, parallel to and following the examples of especially the Dutch and English merchants. During the following 225 years, the Danes built up a colonial town whose special lay-out and historical buildings are still found in Tranquebar today. The present historical-anthropological research project will focus on the life which took place in and around these buildings and which in many ways can be characterized as an Indo-Danish cultural encounter. More information about the project. • The Fishermen Community in Tranquebar: Anthropological investigations of socio-economic living conditions 1980-2010. Another project by Associate Professor Esther Fihl. Like in colonial times, the village of Tranquebar today consists of different quarters, each inhabited by a certain jati or socio-religious group. The largest of these neighbourhoods is still the fishermen part of the village situated to the north - and some of it on top of the Old Danish fortification wall around Tranquebar. On the basis of my earlier data from this community, this research project will try to document both the long and the short term socio-economic transformation processes in the fisherman’s ways of dealing with everyday life and its problems. 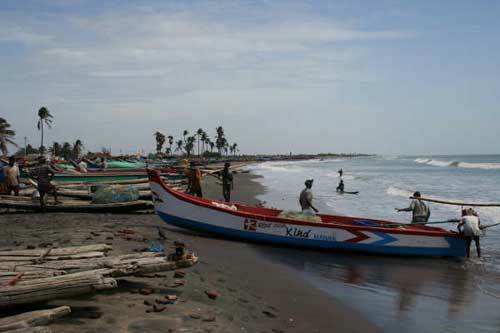 An increasing number of especially young unmarried men have during the last 25 years left the fishing community in Tranquebar for a couple of years to go to Malaysia, Singapore or Saudi-Arabia in order to find work, primarily low-paid jobs in the building industry. From abroad, these young men often functioned as breadwinners for their families, besides saving money to buy boats upon their return to Tranquebar. The question is, if the tsunami catastrophe has meant that more fishermen now than before seek new livelihoods elsewhere? Has there been an intensification of transnational migration and have new ways of handling economic affairs and crisis emerged? More information about the project. • The Tsunami in Tranquebar: The fishing community’s way from collapse to reconstruction. Project by Esther Fihl and Research Assistant Frida Hastrup, Centre for Comparative Cultural Studies, Department of Cross-Cultural and Regional Studies, University of Copenhagen. More information about the project (in Danish only). • The Indo-Danish Cultural Encounter with Special Reference to Print in the Eigteenth Century. Project by Dr. A. R. Venkatachalapathy, Madras Institute of Development Studies, Chennai, India. The Tamil language is not only the first Indian language but also the first non-European language to see print. While the first Tamil books were printed on the West Coast by the Portuguese the real story of print in India with significant social and cultural impact begins with the setting up of the printing press in Tranquebar by the Lutheran missionaries in the first decade of the eighteenth century. More information about the project. • The Colonial School Tradition in Tranquebar. Project by Dr. Keld Grinder-Hansen, Director of The Danish School Museum. A remarkable concentration of educational institutions exists in present-day Tranquebar. This reflects a strong educational tradition in the area, which can be traced directly to the arrival of the Danish Lutheran Halle-Mission in 1706. Some decades later a rival Lutheran mission – the Moravian Brethren – arrived at Tranquebar, where they established a mission station outside the town perimeter. Contrary to their success in other Danish colonies (eg. Greenland and the Danish West Indies) the Moravian Brethen did not succeed in getting a firm grip of the Lutheran mission in Tranquebar, and had to see themselves beaten by the Danish-Halle Mission. 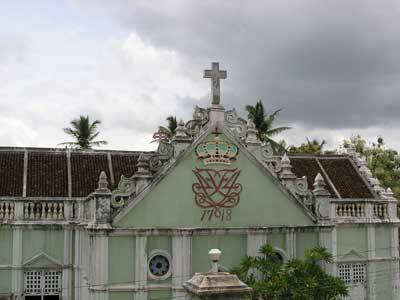 The descendants of the Danish-Halle Mission – the Tamil Evangelical Lutheran Church (TELC) still holds a strong position in the educational system of modern Tranquebar and is responsible for primary and secondary schools, along with a teacher training college in the town. More information about the project. • Food and cultural heritage. Diffusion and innovation studies of the Danish food tradition in Tranquebar. Project by Sabine Karg, The National Museum of Denmark The project is part of Galathea3 and financed by the Bikuben Foundation The project deals with the interactions between the indigenous cuisine and the new foodstuffs and dishes introduced by the Danish colonists. Food represents an essential part of our daily life and the history of foodstuffs is a central element of our cultural heritage. In Tranquebar, one of the most important economical aspect was set in the trade with spices. In the present project we want to enlighten the interplay between the colonists and the local residents concerning their food traditions and their treatment with the newly introduced food. How were the new foodstuffs – the Danish and the foreign ones – accepted and later integrated into the traditional cuisine? When and how quick did the newly imported spices find their way into the Danish kitchen? More information about the project. • The Low Castes of Tranquebar: Museum Collecting with special focus on culture, religion and everyday life of the low castes and religious minorities. Project leader: Bente Wolff, Curator at the National Museum of Denmark, Ethnographic Collection. Project participant: Caroline Lillelund, Research assistant, student of the Institute of Anthropology, University of Copenhagen. 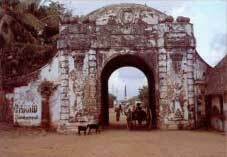 When the Danish merchants and colonial officials came to Tranquebar, they encountered a cultural, religious, and economical diversity unlike that of even the most composed European societies. Wealthy princes with grand palaces, ascetic hermit priests, snake charmers, fishermen, basket makers and isolated “primitive” tribes were all integrated into a social system of numerous castes and religious groups with mutual rights and obligations. This multiplicity of cultures and communities both fascinated and astonished the newly arrived Danes. More information about the project. • The first Danish-Indian relations. Project by Tine S. Jensen about the first Danish visitors to India in the 1620s. More information about the project (in Danish only). • The Peter Anker collection at the Danish National Museum: A joint Indo-Danish project. The aim of this project is to invite an Indian specialist on South Indian temple bronzes to Denmark to produce an annotated catalogue of the collection of 24 temple bronzes found and excavated in Tranquebar in 1799. The historic-stylistic analysis of the Indian guest researcher will be supplemented by archaeometric analysis carried out by a Danish specialist from the School of Conservation or the National Museum. The Collection consists of 14 figures and 10 pieces of temple equipment. In 1808 the Norwegian governor to Denmark, Peter Anker, brought the bronzes to Norway, from where they were purchased in 1843 for the Ethnographic Collection of what later became the National Museum of Denmark. The name of the Indian specialist who will undertake this project is not yet available, but will be publicised as soon as negotiations have been concluded. Applications regarding this project kan be directed to Bente.Wolff@natmus.dk. More information. • Faith, Caste and Social Capital – what happened to the Christian Churches in Tranquebar after India’s Independence. Project by Dr. Peter B. Andersen, University of Copenhagen, Dr. Stig Toft Madsen, Nordic Institute for Asian Studies, Copenhagen, and Dr. Oluf Schönbeck, University of Copenhagen. More information about the project (in Danish only). • Protection of Tranquebar Heritage and the Creation of Employment Opportunities through Planned Sustainable Tourism Development. Project carried out by Nils Finn Munch-Petersen, MSc in ethnography, tourism planner and specialist in nature- and culture tourism who has worked in India numerous times. 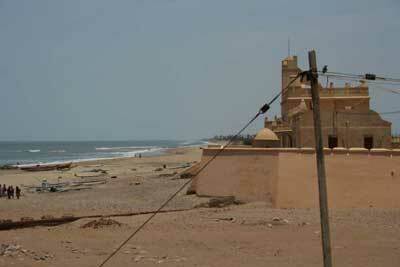 Tranquebar is the best preserved, and the least altered, of the former European trading posts on the Indian coast. A meeting ground for Indian and Danish culture. The grid of straight streets, the Gate, the Dansborg Fortress, beautifully placed overlooking the long coastal beach; the Danish churches and cemeteries, the Parade Ground, and a serene and quiet town with a minimum of vehicular traffic, giving the best possible options for developing cultural- and beach tourism. It is accordingly important, right now when India experiences fast economic growth, to ensure that tourism development will preserve the culture of Tranquebar, as to buildings, streets and the composition of population groups. More information about the project. • Sulphur and Saltpetre for the production of gunpowder. Project by Peter Vemming Hansen, Middelaldercentret, Nyköbing Falster, dealing with the production of gunpowder, that was dependent on access to saltpetre. This can be found natural only in few places outside China, in India it is found in Bengal, a province that came to be known as the reservoire of salpetre in the World. More information about the project (only in Danish). • Culture and Catastrophe: An analysis of risk administration in the Nicobars after the tsunami. Dr. Kåre Jansbøl, Institute for Anthropology, University of Copenhagen. Project dealing with how the Nicobarese handled risks in connection with the tsunami that killed almost a third of the population in the islands. It focuses on the interaction between state and commercial administration and the local population. More information about the project (only in Danish).